This site was designed to inform you about TOP TO BOTTOM’S products and services, and to help direct you to the remedy of the many chimney issues which are unique to our homes here on the Cape. Whether it’s preventive chimney maintenance, or a specific chimney issue you may have, we hope you’ll find that you have clicked on the right site. 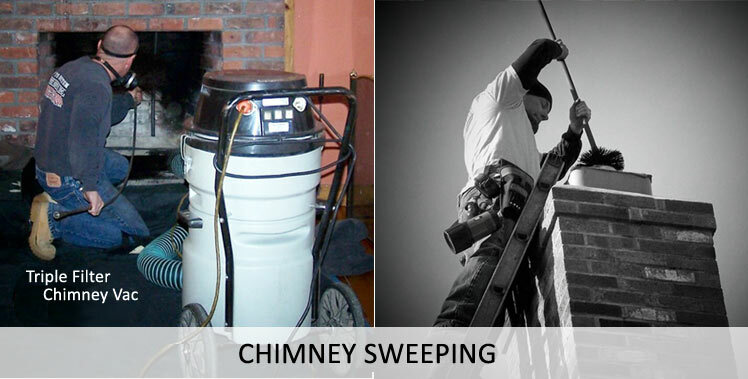 Experienced owner presence on every job (veteran firefighter/certified chimney sweep) ensures quality workmanship and friendly service every time. As a rooted Cape Cod company for over twenty years, it allows for sincere referrals and accountability. Family founded and owned (not a franchise) guarantees fair pricing with no hidden costs or commissions. Thank you for considering Top To Bottom Chimney Service. We look forward to booking an appointment and meeting with you soon………in person! Doug and Laura Sherman, Owners and Operators of Top To Bottom Chimney Service, Inc.
Or complete this form to reach us and we’ll be in touch right away. TOP TO BOTTOM CHIMNEY SERVICE, INC. was established in 1990 by the owner, Doug Sherman, while serving on the full time ranks of the Yarmouth Fire Department. 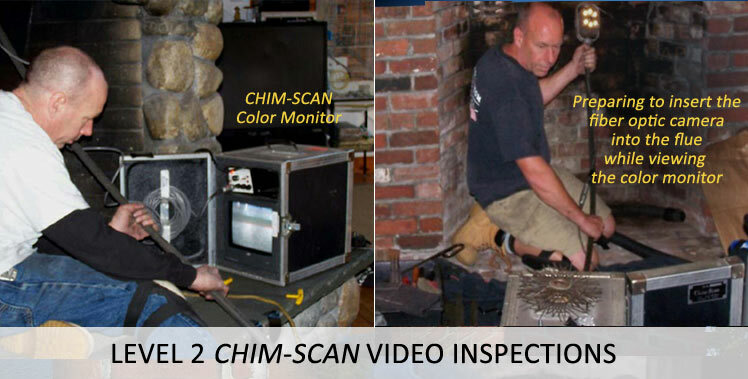 After continually responding to chimney fires and carbon monoxide incidents in town, it was evident that most of these situations could have been prevented with regular chimney inspections and maintenance. Providing an additional preventive service in the community only made sense, which prompted the creation of TOP TO BOTTOM CHIMNEY SERVICE, INC. With over twenty years of firefighting and chimney sweeping experience, you can be confident that your family’s safety, and protection of your home, is at the forefront of every inspection, cleaning and repair. As you browse through our site you’ll find that TOP TO BOTTOM is fully equipped and prepared to respond, protecting your family and property from the potential of chimney fires and other chimney related hazards. As a rooted Cape Cod company, we continue to strive toward carrying a thorough and professional service into each and every home, leaving you confident that you made the right choice. 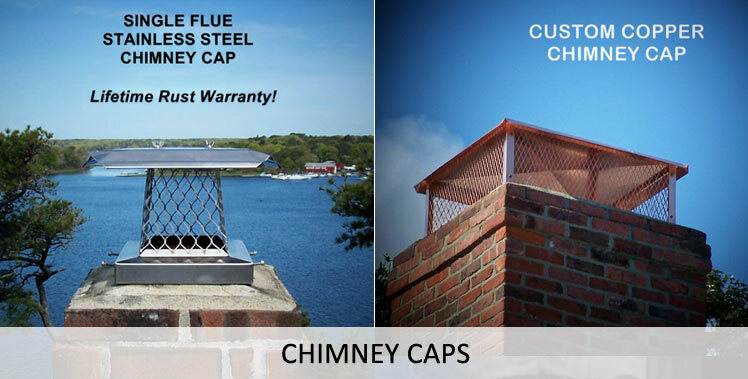 Through the years we have learned what products work best in protecting and preserving our chimneys here on the Cape. This knowledge helps us to help you in solving the chimney related problems that are unique to our area. Since its birth in 1990, TOP TO BOTTOM has serviced literally thousands of Cape Cod chimneys (one at a time). We hope that this testimony in itself will show you how this has made us “WHO WE ARE” so we can better serve you TODAY! Historically the “busy season” begins shortly after Labor Day and runs straight through the holidays and into February. Scheduling an inspection and/or chimney cleaning during this time frame may push the appointment date out by two to four weeks. We do however try to accommodate true emergencies at this time to the best of our ability. Outside of the “busy season” time frame an appointment can generally be made within a week, sometimes sooner depending on our schedule. It is best if the owner or representative is present at the time of inspection for an on site review of the post inspection report. We will confirm your appointment day and time 24 hours in advance of the appointment day. It is best to leave the best number that you can be reached at (cell phone or work) for the confirmation call. If we are unable to confirm your appointment within the 24 hour period, we will have to reschedule your appointment as soon as we can contact you. Payment is required at the time of delivery of our services and/or products unless otherwise specified on a written proposal. TOP TO BOTTOM accepts all checks, cash and all major credit cards. A credit card number can be taken prior to your scheduled appointment if you are unable to be at the site for payment on completion. Your card will be charged only after services rendered are completed and a copy of the transaction receipt will be mailed to you immediately. © 2018 Top to Bottom Chimney Services Inc.